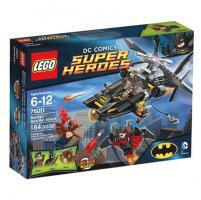 Toys that are popular one year, and land on the 'must have' lists, often are out of style by the next season. 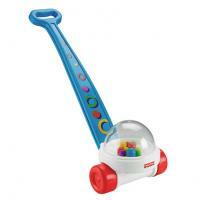 Other toys remain popular year after year regardless of their competition. If you are looking for a toy your child will love that has some staying power, try any of the age-appropriate, kid-tested toys on this list. Many have been around for decades. According to Consumer Reports, some of the best toys for this age group focus on developing a child's ability to "to experience how things work and relate to each other." 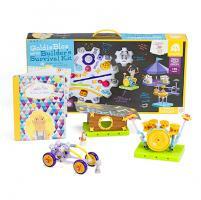 Other great options are toys that allow a child to enter the magical world of make-believe. Corn Popper by Fisher Price: Although it has been around since 1957, this toy continues to fascinate youngsters with its popping action which is activated as the child pushes the toy across the floor. Radio Flyer Wagon: More than 200 million units of this classic toy have been sold since 1917. Classic Teddy Bear: First introduced in the early 1900s, the teddy bear is often one of the first plush animals that children call their own. Giant Microbes: These plush toys are designed to teach your child the science behind some of the well-known and lesser-known diseases that afflict humanity. Fisher Price Little People: Kids, fascinated by the variety of colors, styles and settings of the chunky plastic figures, get pulled into the make-believe world of these little guys. This is the age when education comes to life for children and toys should be chosen to encourage a child's cognitive and social abilities. Most of the toys this age group loves encourage activities that allow kids to discover things on their own. Transformers: Introduced in the 1980s, transformers continue to fascinate children as the action figures change from vehicles to super heroes with just a few turns or clicks. 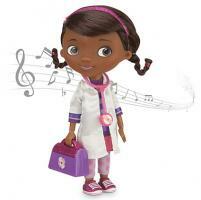 Doc McStuffins: Based on the popular TV series, Doc McStuffins' Walk N' Talk Doc version ​recently received the Parent's Choice Award. VTech InnoTab: An age-appropriate tablet designed for ages 3 to 9, this device lets your child learn through pre-loaded apps and games. Alphie: Designed for ages 3 and up, this friendly robot helps preschoolers practice the alphabet while teaching them how to rhyme and count and the names of shapes, color and animals. Leapfrog Scribble and Write: This toy teaches a child how to write through audible instructions and a connect-the-dots approach to mastering the alphabet. Whether your child prefers outdoor activities or artistic ventures, the variety of quality toys for this age group is immense. Razor PowerRider 360: This award-winning toy lets a child steer through a variety of options while reaching speeds of up to nine miles per hour. 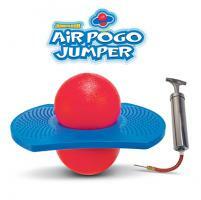 Air Pogo Jumper: Since it's a pogo stick without a stick, children must learn to balance while jumping. This burns up even more energy, which is one of the reasons it received the Parents' Choice Award in 2012. Of course the traditional pogo stick is still a popular item with more than 25 million sold. Since this is the age when some children display an interest in STEM-related content, it is a great time to introduce them to toys that teach the concepts. Some of these popular options are in the Toys Hall of Fame. Although many of these toys have long been associated with boys, a renewed push is underway to introduce girls to these toys in an effort to inspire a new generation of females in STEM-related careers. Lego Kits: Although the type and price range of Legos varies widely, these building blocks can spark a child's imagination as they assemble pre-designed kits or their own unique creations. Erector Sets: These nut-and-bolt based sets can improve a child's dexterity as they create machines or well-known pieces of architecture. K'Nex: This mind-challenging toy has been introduced into the classroom as a hands-on way to teach STEM ideas to today's young students. 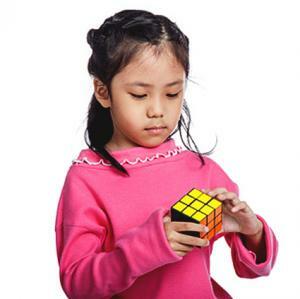 Rubik's Cube: The most-popular selling toy of all time still piques kids' interest as they attempt to solve the 3D puzzle in record-setting time. Super Soaker: Invented by a NASA scientist, this outdoor toy remains highly popular. This is the age when electronic toys and gaming consoles become popular. It has taken several years, but females now make up about half of the gaming crowd, even though many of the popular games are still male-centric. Here are two game titles that top the most popular list annually. The first tends to be more popular with females and the other one is still mostly played by males. 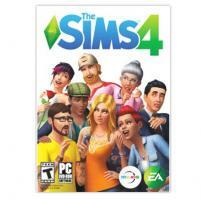 The Sims: One of the first PC-based games, The Sims lets users create and control a virtual world filled with big personalities, unique styles and plenty of conversations and events to keep the lives of their characters interesting. Call of Duty: The ultimate in war games with an engaging story line, this franchise has dominated video game sales year after year, including 2014. It has a strong male following and virtual female soldiers were not even an option in the multi-player version of the game until 2013. Even though video games are very popular with teens, they are not the only options to explore. Other great choices include strategy games and outdoor activities. Axis and Allies: This series of games centers on specific battlefronts from WWI or WWII s​o players learn the strategy behind key military maneuvers while at the same time becoming more familiar with the historical significance of a battle. Stratego: This strategy game has opponents trying to capture their enemy's flag while protecting their own. 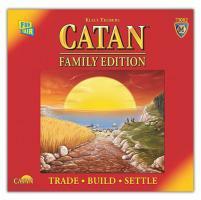 Settlers of Catan: In this relatively new game (1995), players take on the role of settlers, building communities by acquiring resources needed to grow their settlement. Many teenagers find their 'gaming' outlet in real-world sports. Although camps, training sessions and athletic events take a considerable amount of a teen's free time -- the virtual world is creeping in as professional athletes use it to improve performance. Options for teens include video games about sports, remote control drones or . Electronic Arts' FIFA: This video game is the best-selling sports video game with more than 100 million copies sold since 1993 and some credit the game for spurring U.S. interest in the World Cup. 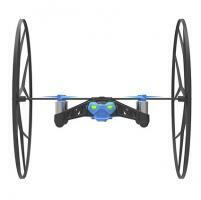 Parrot MiniDrone Rolling Spider: Rated very good by CNet, this drone is perfect for the beginner. Supplied with an ample flight sensors, the device is relatively easy to operate both indoors and out and can be controlled by your smartphone or tablet. Skateboards: Skateboarding has seen consistent growth in popularity as more skaters take to their local skate parks. With plenty of quality brands to choose from, the real challenge for your teen in this popular sport is deciding which of the three styles of boards to buy. 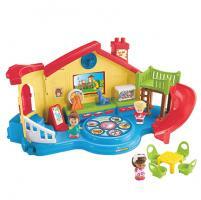 Toys that sell well year after year have several common attributes. Games that use a child's imagination, forcing him to think while also having fun, are the toys that remain popular for decades. This is why dolls, board or video games and building toys stick around for years despite competition from the 'latest and greatest' toys of each holiday season.